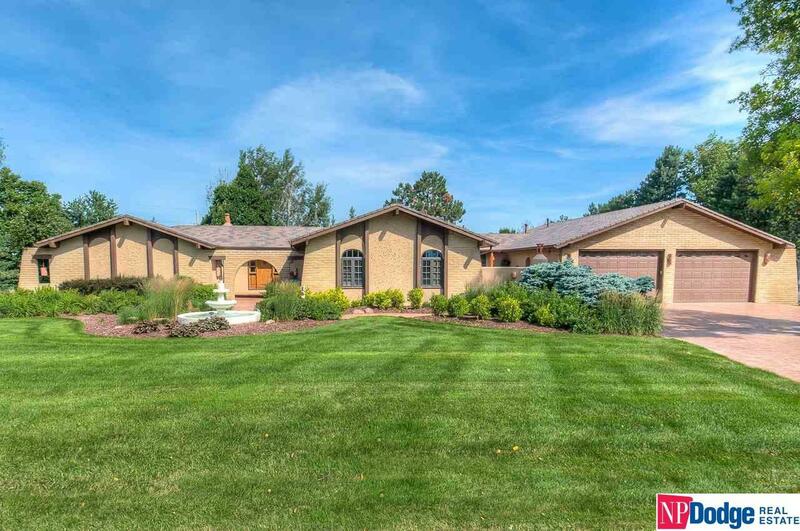 Stunning Southwestern masterpiece walkout ranch on apx 1.16 acres! Fabulous, authentic Sante Fe influence thru-out. Completely remodeled & impeccably maintained. Spectacularly appointed chefs kitchen w/ss Thermador appl. Incredible master suite w/his/her baths & huge walk-in closet. Intimate private courtyard w/FP. His/her private offices. LL features rec room w/fireplace, 2nd kitchen. Patios, ponds, fountains & mature landscaping. WOW. Convenient location! AMA. 5th BR in LL "non-conforming."